Broken garage door springs are a common issue for most all home owners. It is also a frustrating issue. Be aware that replacing garage door springs should be left to a knowledgeable professional technician. Tampering with the springs can cause the door to drop unexpectedly. Garage doors can weigh anywhere from 125 to 350 pounds depending upon make and model. A falling door can not only cause property damage, but serious injury or death to persons in the path. Garage door springs should be replaced as soon as possible to prevent further damage. Both springs should always be replaced, if the door has two even if the other spring is not broken. It is very important to understand the extent of the danger involved with garage door spring replacement. It is also important not to try to operate the door, if a springs is broken. Regardless of the issue a garage door should never be forced open except in an emergency. 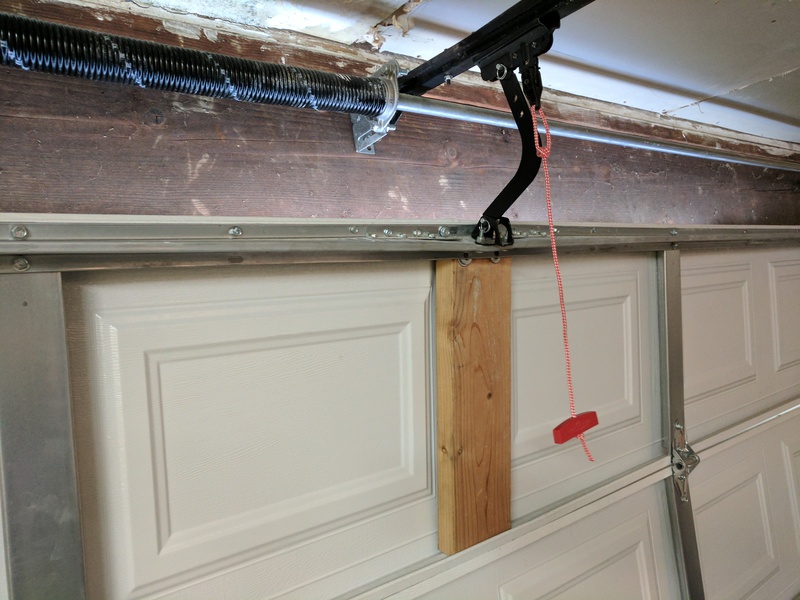 Forcing a resisting garage door can cause damage to the other components, hardware, and the door opener as well. These parts will need to be replaced as well, if they are damaged in any way. These additional repairs and replacements can rack up extreme charges. 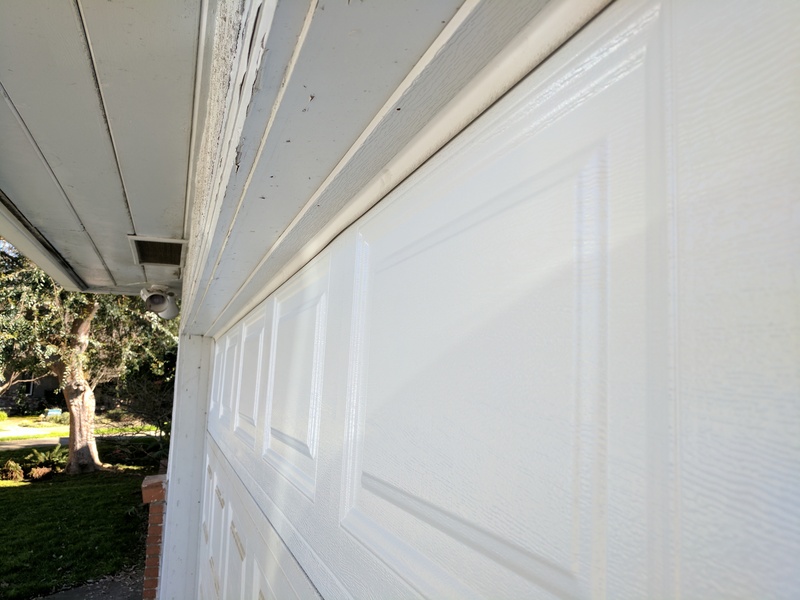 It is better to contact a garage door tech for these tasks. He/she should inspect the entire door during the spring replacement. Just to be sure ask and never be afraid to ask about anything you are unsure about. An honest garage door tech should encourage you to ask questions and address all of your concerns. 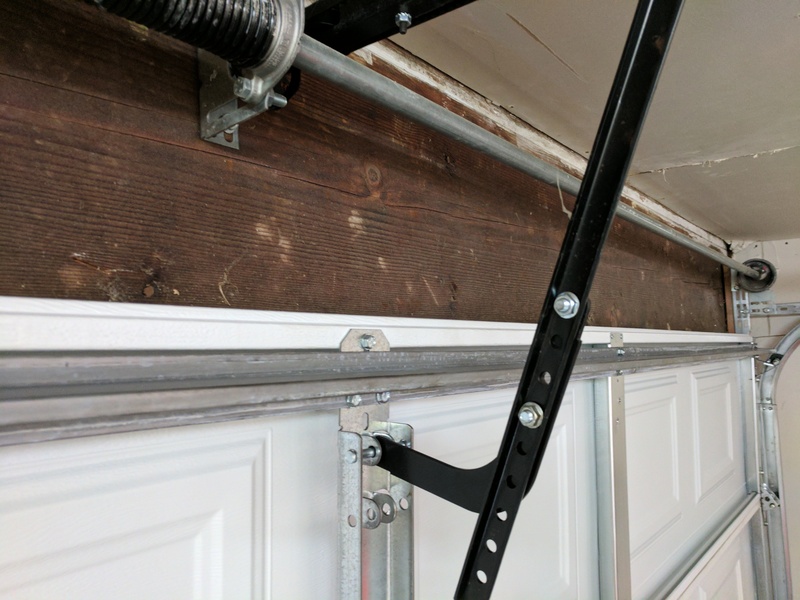 Springs are an extremely important garage door component. They are responsible for counterbalancing the weight of the door. This lessens the burden when the garage door is in operation and makes operation easier as well as smoother. Generally springs are torqued or stretched which forces them to withstand an intense amount of pressure. These two elements make garage door springs one of, if not the, most dangerous garage door component. Torsion and extension are the two types of garage door springs used by all garage door companies. 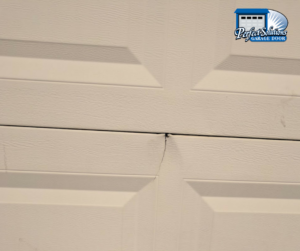 The type of springs itself does not usually have an effect of whether forcing the door open causes damage to the opener or not. Torsion springs are wound or torqued, hence the name torsion, and extension springs are stretched. The height, weight, and track radius are the variables which determine the torsion spring wire lengths and sizes providing many options to choose from. 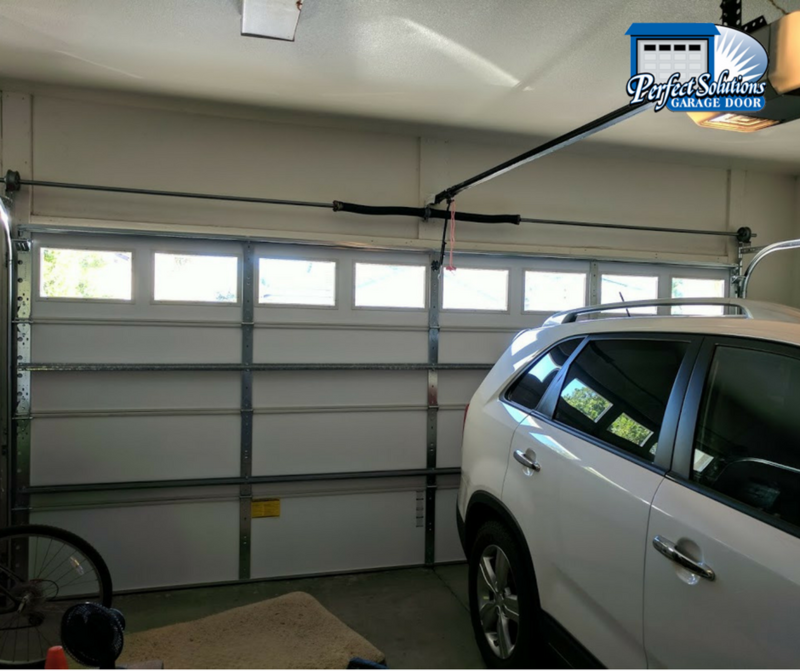 Extension springs do not present home owners with as many options and must always be paired with garage door safety cables. The extension springs can become a fast moving projectile without the safety cables in place. Our caring crew is available now to discuss your garage door issues. If you suspect that one of your garage doors springs has broken or simply have no idea what the issues is, we urge you to call today. 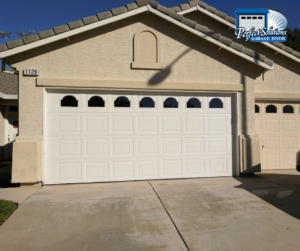 Our garage door specialists can visit your home to quickly determine what the issues is and present you with all of your affordable options for resolving it. Your family’s safety and satisfaction are our highest priorities. Imagine how frustrating it would be when one morning you wake up and realize you are almost late on an appointment. After hastily bathing and dressing up, you go to get your car and the garage door will not open. Some people will panic, force it open or tinker with the door’s mechanisms. However, the best course of action is to call a garage door company. 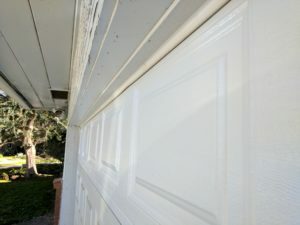 Garage door companies treat this is an emergency and would head to your home right away to solve the problem. 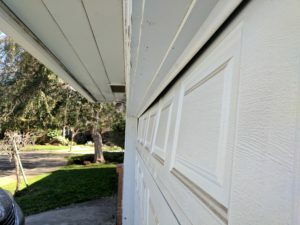 If you are wondering why you’re garage door isn’t opening or closing as it should, there are several possible problems that could be causing it. It could be the photo eye or torsion springs or something as basic as the power source. Read on to learn more about the possible causes of garage doors that seem stuck. 1. Photo eye is obstructed. 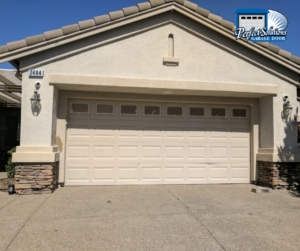 Your garage door most probably has a photo eye that detects if there is something beneath the garage door that keeps it from closing all the way. It’s a safety feature in case a child or a family member is below the door when it closes. However, there are times when the photo eye is obstructed so it thinks that there is a block beneath the garage door. When this happens, it refuses to close. 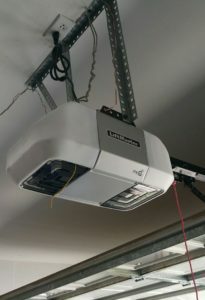 The photo eye operates by shooting a laser across the garage length. When this laser is interrupted, the garage will not close. You can find the photo eye four to six inches off of the ground under the door. You can check if there is something blocking the laser or if it’s broken. If the photo eye is broken, it needs to be replaced by a certified garage technician. 2. Power source not connected. This possible reason seems very basic, but sometimes people just don’t check whether the garage door is connected to a power outlet. If your garage door mechanisms don’t even make a weak whirring sound when you try opening the door, then the power source should be your primary suspect. The solution is simple. You just have to check if the garage door is properly connected to the power source. If not, then just attach it. However, if you find out that the wire is broken or cut, then don’t put yourself at risk for injuries trying to fix it. Call a certified garage door technician right away. Remember, electricity kills. 3. Remote control is malfunctioning. If you have ensured that the garage door has power and it’s still not working, try checking your remote control. Try replacing your remote control’s battery. If the battery replacement solved the problem, then well and good. If it is still is not working, have your remote checked by a technician. 4. Torsion springs are broken. Garage door torsion springs are responsible for making the garage door easy to lift. Without these springs, the door will be too heavy for the mechanism to open. 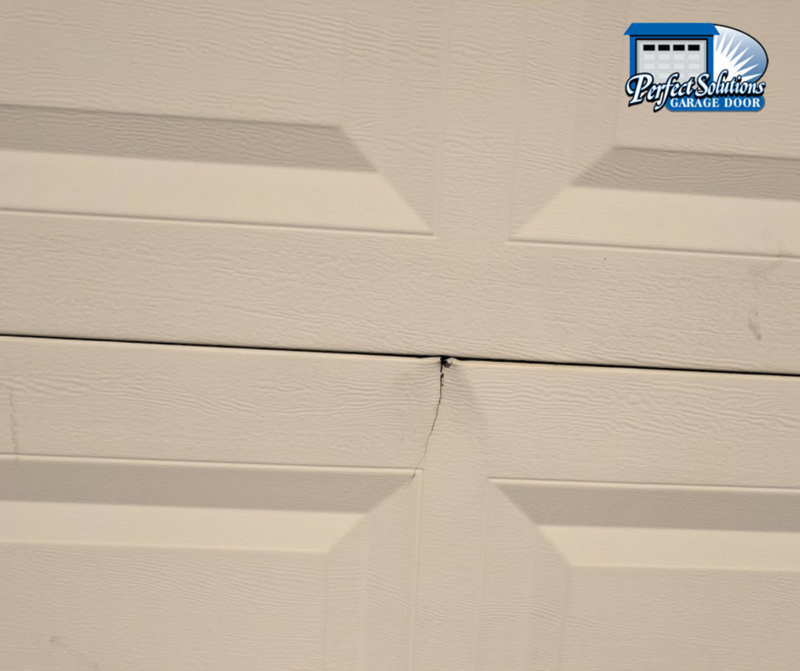 There are times when due to too much pleasure, the garage door torsion springs break which results in, you guessed it, the door not opening. When garage door springs are broken, don’t try to fix it, because it’s already irreparable. Don’t try replacing them yourself either because these could snap or hit you. Many people had to be taken to a hospital because of accidents caused by trying to replace the springs themselves. Call a garage door company and have them send someone to replace the torsion springs. When your garage door refuses to open and close properly, it might be one of the problems mentioned above. It is a great idea to have your garage door maintained by certified technicians to avoid problems. 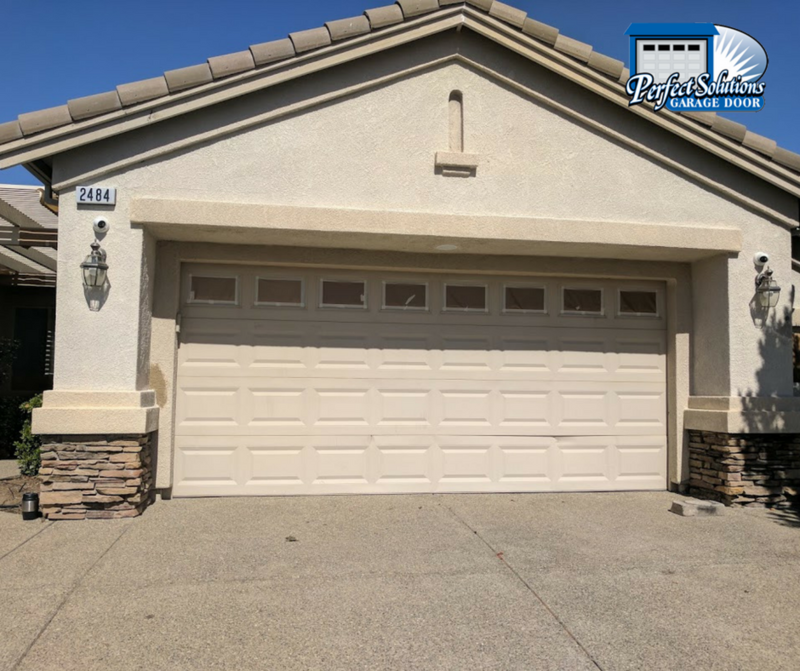 A trusted garage door company in California is Perfect Solutions, which has a 24/7 hotline to attend to all your urgent garage door issues.